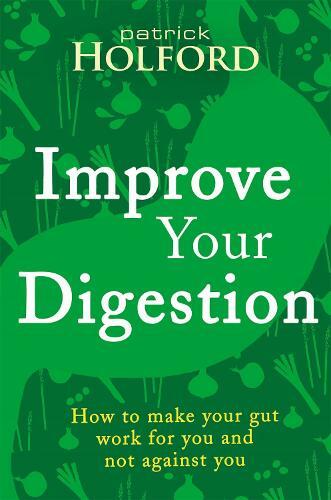 If you have digestive issues such as bloating, indigestion or heartburn after meals, or tend towards constipation or IBS - or you simply don't feel energised by your food - Improve Your Digestion will show you how to tune up your gut. It offers an easy-to-follow road map that will help you achieve perfect digestion, absorption and elimination, which means you'll experience better health and disease resilience, and a new level of vitality. Improve Your Digestion unravels the complex workings of the digestive system, explaining why it is now being called the second brain, and why having healthy gut microbes is so vital. Improve Your Digestion also includes an action plan for a healthy gut, as well as tips for self-diagnosing which digestive supplements you may need and when. You'll learn which foods are digestion-friendly and discover the art of Gutstronomy - how to prepare delicious, gut-friendly breakfasts, main meals and snacks, guided by kitchen wizard Fiona McDonald Joyce. Make your gut your friend and it will reward you with better health.